NORTH FORT MYERS: The battle lines are drawn and they're on the front yard of a North Fort Myers homeowner. He says his lawn is a certified Florida-friendly lawn. But his eviction notice claims his shrubs are not consistent with those of his neighbors. 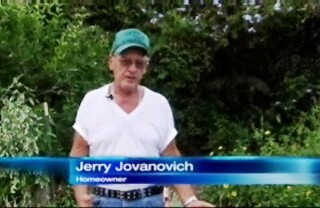 To say Jerry Jovanovich is an avid gardener is an understatement. His yard is full of native plants, buzzing with insects and wildlife. What he didn't know is that would get him evicted. Twelve years ago when Jovanovich moved in and planted his trees, he knew he was going against the homeowner's association's rules, but says he wanted to do what was best for the environment. His HOA requires residents to have shrubs waist high and to be consistent with other houses. "You have wild, overgrown plants around your mobile home that are not in keeping with community standards." Compared to other neighbors, Javanovich's front yard looks a lot different. His lawn is a certified Florida-friendly lawn with native plants that help shade his home to keep energy bills low. And he says the plants help with water drainage and control water pollution. A recent bill is a little more lenient on these types of lawns. "Florida-friendly landscaping could not be deed restricted in covenants by homeowner's associations to prevent someone from saving water," said extension agent Tom Becker. The bill is intended to create a beautiful and functional landscaping, but the question of whether it can override homeowner's association rules is still in question. 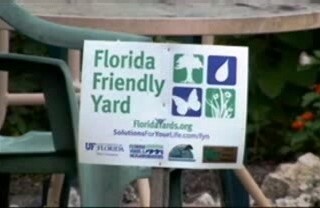 For now, Jovanovich says he's going to continue to follow the state guidelines for Florida-friendly yards, despite the eviction letters he continues to get in the mail. "And they say we don't care, you do what we want you to do so my hands are tied I guess," he said. The eviction letter says jerry was first notified in September that he was violating the rules and according to state statute, the mobile home park owner has the right to evict a resident.